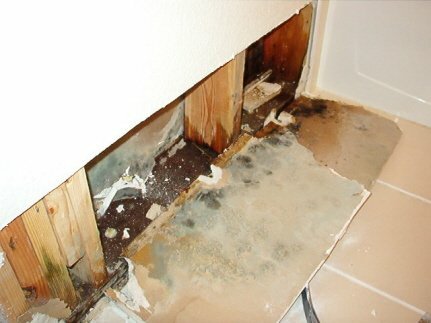 Water Damage? Does your home or office have it? 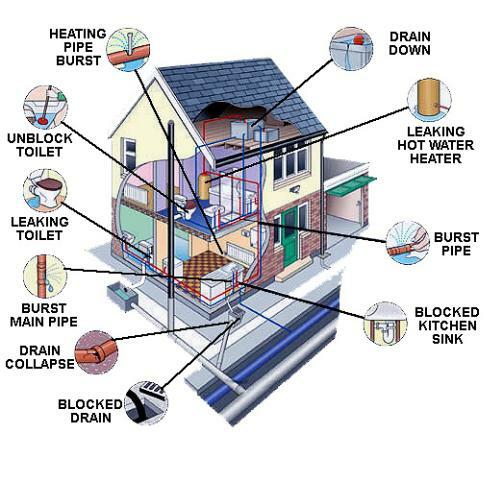 If you suspect excess moisture in your home or business for any reason, don't hesitate to call the professionals at 1-877 Quikdry, for a moisture inspection. Under the right conditions unwanted microbial growth can occur in wet building materials within 48-72 hours. We have several different types of moisture inspection tools to diagnose excess moisture in building materials. We can also (under most circumstances) provide you with a solution to dry wet building materials in a timely fashion. 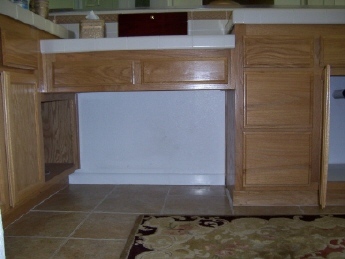 In the photo below, plumbing repairs were made to the sink. This does not appear wet to the naked eye. 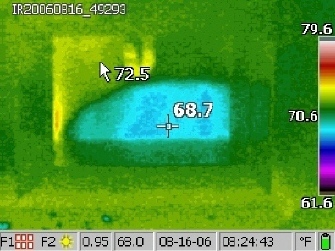 With our infrared camera, and moisture detection meters, we were able to detect excess moisture, in the wall below the sink, the areas in light blue are excessively wet, the green areas are dry. 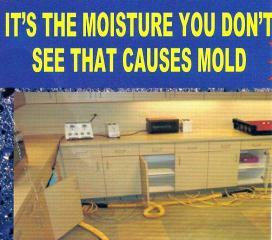 We at 1-877 Quikdry were able to develop a plan to dry out and save the cabinet and wall with out tearing them out. Below, this was a water damage that was ignored by the homeowner. Suspect microbial growth occured in the walls. The cleanup and reconstruction costs far exceeded what it would have taken to properly dry the walls immediately after the water damage occured. Don't let this happen to your home!